How many days until Christmas? Santa says 42 sleeps! And for today's treasury, 20 Christmas ornaments you must crochet! Beautiful ornaments to add in your own Christmas trees, perfect for gifts and definitely will be a hit in any upcoming craft show! A few of these patterns are in a different language but as always Google Translate is here to help you. Also, some of the patterns are from yarn companies and require you to sign up on their websites to be able to get the patterns. But mostly, these are ready to download from Ravelry or to view in websites or blogs. Get the patterns by clicking the pictures! Holiday ornaments patterns really are ideal – they make great small stand-alone gifts, they dress up any gift when tied on with ribbon, and they live on year after year, bringing warm memories as they’re hung up with care! 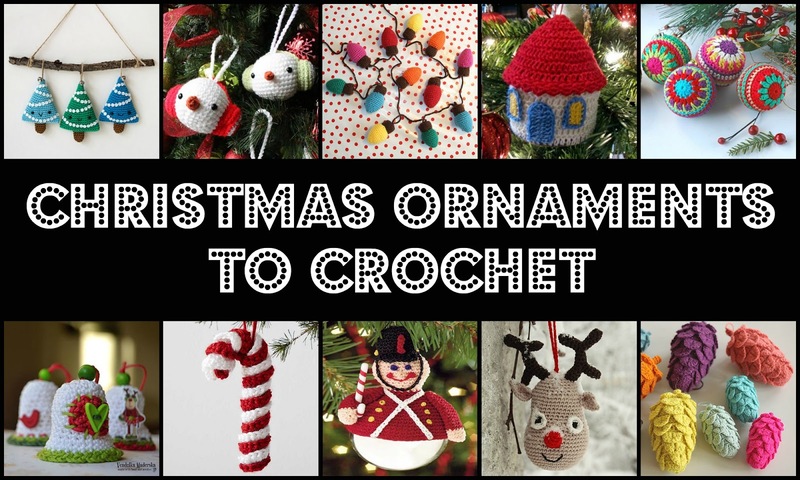 I hope you find some crochet ornaments to add to your collection here this year!